Below you fill find all funeral homes and cemeteries in or near Olympia. Suburbs of Olympia: Lacey, Tumwater, Boston Harbor, Evergreen State College, Firm Brm, Maytown, Nisqually, Offutt Lake, Oly, Schneiders Prairie, South Bay, South Sound, Thompson Place, Union Mills, Washington State Department. 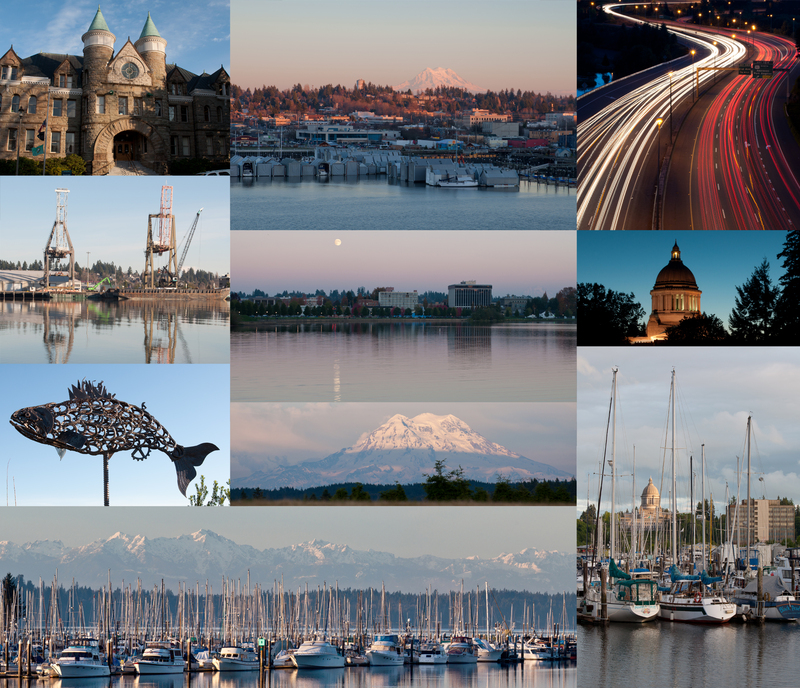 Olympia is also known as: Thurston County / Olympia city. Their current mayor is Mayor Stephen Buxbaum. Zip codes in the city: 8508, 98509, 98511, 98512, 98513, 98516, 98599. Thurston County funeral flowers can be purchased from one of the local funeral shops we partner with. Some of the notable people born here have been: Rachel Corrie (peace activist), Kasey Keller (football player), Skyler Fulton (american football player), Shoshana Bean (singer and actor), Kim Murphy (actor), Caralee McElroy (multi-instrumentalist), and Brandon Rosage (writer). Olympia is the capital of the State of Washington and the county seat of Thurston County. It was incorporated on January 28, 1859. The population was documented as 46,478 in the 2010 census. The city borders Lacey, to the east, and Tumwater to the south. Olympia is a major cultural center of the Puget Sound region. Olympia is located 60 miles (100 km) from Seattle, the largest city in the state of Washington. It was written on January 31st, 2019 that Allen Kent Striggow perished in Olympia, Washington. Striggow was 87 years old and was born in Davenport, NE. Send flowers to share your condolences and honor Allen Kent's life. It was noted by Orlando Sentinel on January 27th, 2019 that Deborah Lynn Kofmehl (Minsch) perished in Oviedo, Florida. Ms. Kofmehl was 54 years old and was born in Olympia, WA. Send flowers to express your sympathy and honor Deborah Lynn's life. It was noted on January 17th, 2019 that Robert E Wesche passed on in Olympia, Washington. Wesche was 89 years old. Send flowers to express your sorrow and honor Robert E's life. It was written by Register Guard on January 9th, 2019 that Robert Elwood "Bob" Smith passed away in Springfield, Oregon. Smith was 87 years old and was born in Olympia, WA. Send flowers to express your sympathy and honor Robert Elwood "Bob"'s life. It was noted on January 4th, 2019 that Harold Arthur Jr Stewart passed on in Papillion, Nebraska. Stewart was 72 years old and was born in Olympia, WA. Send flowers to express your sorrow and honor Harold Arthur Jr's life. It was reported on January 3rd, 2019 that Stacy Roe-Conaway (Jones) died in Olympia, Washington. Ms. Roe-Conaway was 48 years old and was born in Peoria, IL. Send flowers to express your sympathy and honor Stacy's life. It was disclosed by The Chronicle on December 12th, 2018 that Shirley Vera McDougal perished in Olympia, Washington. McDougal was 81 years old and was born in Newport, VT. Send flowers to express your sorrow and honor Shirley Vera's life. It was written by The Chronicle on November 27th, 2018 that Betty "Rowena" Davis (George) perished in Olympia, Washington. Ms. Davis was 88 years old. Send flowers to express your sympathy and honor Betty "Rowena"'s life. It was revealed by The Chronicle on November 26th, 2018 that Willere Violet Heffley (Ward) died in Olympia, Washington. Ms. Heffley was 78 years old. Send flowers to express your sorrow and honor Willere Violet's life. It was revealed on November 20th, 2018 that Pater P Vanmieghen passed on in California. Vanmieghen was 68 years old and was born in Olympia, WA. Send flowers to express your sympathy and honor Pater P's life. Olympia is the Capital (political) city of the US state of Washington and the county seat of Thurston County, Washington County. Olympia is often associated with the Olympia Brewing Company, which from 1896-2003 brewed Olympia (beer) Beer. . The population was 42,514 at the 2000 United States Census census. Parts of the city also suffered damage from earthquake tremors in 1965 and the 2001 Nisqually earthquake. The official website for the city of Olympia is http://olympiawa.gov/. LEWISTON, Idaho; OLYMPIA, Wash.; SEATTLE and SOUTH DAKOTAWhen people plan coast-to-coast trips, it's usually to visit the nation's sights. But my recent trek from Washington ... owners of sheet metal plants, funeral homes, and restaurants. Born in Olympia to James ... Service at Mills & Mills Funeral Home, 5725 Littlerock Rd. SW, Tumwater at 11 a.m. Sunday 31 October. Memorial donations may be made to Hospice of Kitsap County, PO Box 3416, Silverdale, WA 98383. Funerals in Olympia, WA on Yahoo! Local Get Ratings & Reviews on Funerals with Photos, Maps, Driving Directions and more. Cemeteries in Olympia, WA on Yahoo! Local Get Ratings & Reviews on Cemeteries with Photos, Maps, Driving Directions and more. We work with local florists and flower shops to offer same day delivery. You will find budget sympathy flowers in Olympia here. Our funeral flowers are cheap in price but not in value.